Of course you wouldn't expect a venture to be easy, when the rewards on offer are so high but the really good news is - currency trading is simple to learn and can become easy to make money at, if you change your personality. To make FOREX trading easy means, taking on the mindset of a pro trader and this is a choice any trader can make. So far what I have said, may sound a little contradictory but with some explanation, you will understand the point I am trying to make and see how you can achieve currency trading success. The easy bit of currency trading is learning a strategy which can give you success. Prices go up and down and you can see trends on a chart which you can lock and make money from, with a simple currency trading strategy. A Simple trading strategy based on looking at chart formations and price action, with a few indicators (or none at all if don't want to use any) can make huge profits and complicated algorithms and systems loaded with inputs will fail to make profits. This is one of the themes which constantly runs through all our material - simple trading methods will make you more money than complex ones. Trying to be to complicated, will not increase your chances of success with your trading signals and neither will working hard. Now we need to unlearn some common traits which are admired in other professions and life but in currency trading, they won't help you win, they will simply ensure, you lose money and graphically show you why simple trading methodologies work best. From the time you first go to school being clever and academic achievement are seen as good traits and its a fact that the cleverer you are in life, the better your chances of success are likely to be. Were also used to working hard and getting more for effort and the perfect example is – if you do overtime in many jobs you get paid more money. Finally, we tend to admire technology because it makes our lives easier and more pleasurable. Many traders believe these traits which are taken as good in normal everyday life can help them win at FOREX trading but the reverse is true due to the how the markets work. Currency trading markets don't respect technology and don't move to science – they are made by humans and emotional beings make a price. Complex systems won't work on an odds based market in an odds based market simple trading systems work best. The person who is clever and thinks technology will help him win soon learns the reality when he tries to bring these inputs to the market – he losses. Many traders think, the more hours they spend on their trading, the better the odds of success but what they do is - over trade and pick trades which have low odds of success and lose. They think they should be rewarded by the market for their efforts but working hard is not a trait to bring to FOREX trading. FOREX markets reward you for being right with your trades and the fact is if you wait and only trade the best set ups, you can make bigger profits, than someone trading all the time. The above should make clear, why a simple trading strategy will make money and why you don't need to be a computer nerd to make money trading currencies and don't have to work hard. Now if you want to make currency trading made easy a reality, you need to understand how important your mental attitude is to trading which we will look at now. The real key to success lies within you, the market doesn't beat the trader, the trader beats himself. If you want to win with a currency trading strategy remember, the execution of your method is the real key to success and if you do it correctly you can win. So why is it so hard for most traders to do? To understand we need to look at another couple of traits which are admired in society but if traders don't unlearn them, when trading in the market they will help you lose. The problem most traders have is operating on their own in an unstructured environment. In life, most people are used to structure but the markets are anarchy and there are no rules it plays by and you have to adapt to this or you won't survive. When you are trading in the markets, you have to survive an this means doing things which would be frowned upon in everyday life and some examples will make this clearer. This trait is not admired in society but in the FOREX market, it will help you survive and prosper. You will lose probably half your trades or even more - but you have to accept your wrong and take them and above all keep them small. 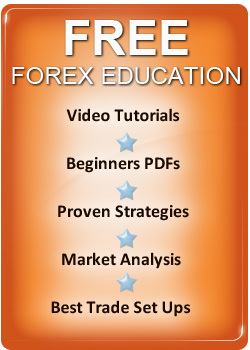 If you want to feel good and clever all the time – FOREX trading is not a profession you should try! The majority of traders lose so don't do the same as them. This goes against man's pack animal instinct, where bonding in groups is seen as social and has also helped man survive for centuries. In FOREX trading you need to be a loner and if you adopt this trait, you will learn that being on your own is the best place to be and the uncomfortable trades which go against the majority opinion, are normally the best in terms of profit. Adopt these Traits and you will find it easy to adopt a disciplined and focused mindset. Your focus will purely be on making money from the best trades, keeping losses small and discipline will come naturally, if you have confidence in your trading method. With a disciplined mindset, you will find it easy, to follow your plan, while keeping losses under control while running winning trades to cover them – to give you an overall profit on your trading account. You will now understand why using a simple trading method and simply changing your mental approach, can make FOREX trading made easy a reality. To find out more about how to Learn Currency Trading Quickly and to find the best Currency Training Courses simply check the relevant areas of this site.